I know this might be a stretch calling this a kid friendly food for some kids, but my daughter loves it so much I decided to include it in this week's roundup of kid friendly lunches/snacks. My daughter loves dips, and hummus is a favorite. She likes the hummus so much that by the end of the meal she has given up on the carrots or pitas that I've given her to scoop it up and has resorted to using her fingers and eating the hummus plain. I should probably mention at this point that my daughter is a weirdo. Anyway, I thought I'd make a dip that was a little healthier since she was eating it as a meal, and this edamame hummus is what I came up with. I should state that yes, I know that without chickpeas hummus technically isn't hummus, especially since this recipe doesn't use tahini, but it is much easier to call it hummus than "Pureed Edamame with Middle Eastern Flavors". I decided to use edamame as the base of the dip instead of chickpeas because of the higher protein content and increased vitamins in edamame, but chickpeas are also a healthy choice that you could use in this recipe if you prefer. I also didn't use tahini in this hummus because I wanted a more mild flavor. To get back a little of the sesame flavor it adds, though, I used some sesame oil in the place of half the olive oil. 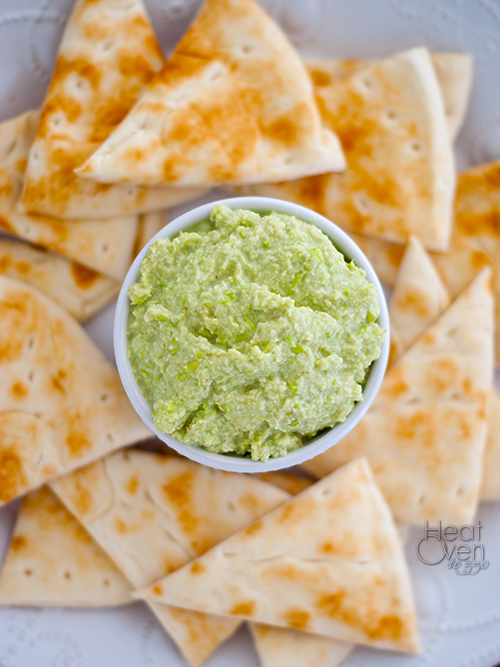 The edamame hummus is as easy to make as throwing ingredients in a food processor and turning it on, and it makes a snack or lunch that I am just as happy to eat as my daughter. And given that some days I only have time to make myself a peanut butter sandwich for lunch while I'm making one for my daughter, that is a very good thing. Add all ingredients except water to a food processor and process, scraping down the sides as needed, until edamame are coarsely chopped. Refrigerate 30 min and serve. 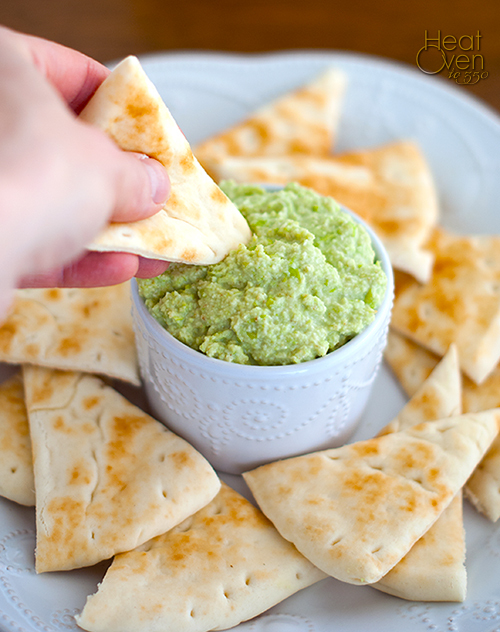 I love edamame and have never thought to make a hummus out of it. This sounds like a great idea, and I think my kids would actually eat it, too!